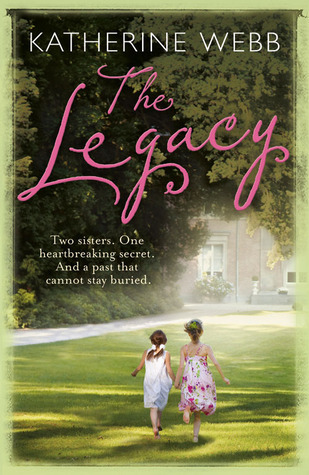 2015 Reading: #6 Katherine Webb’s The Legacy – It's Time to Read! Following the death of their grandmother, Erica Calcott & her sister Beth return to Storton Manor, where they spent their summer holidays as children. When Erica begins to sort through the house, she relives memories of her childhood – & of her cousin, Henry, whose disappearance from the manor tore the family apart. This is the second book I have now completed off my Mount Blanc 2015 Reading Challenge! I am really pleased to be on target with that challenge. I didn’t enjoy this Mount TBR Book as much as I enjoyed Jane Green’s The Patchwork Marriage. That said, this book wasn’t a complete disappointment. I enjoy books which run through two time periods, which this one did. I found however, I preferred the modern day story to the Victorian era story. I did enjoy this book, but it felt like a slow read and I felt a bit flat once I had finished book. I also surprised myself by working out the Henry story line too – I hardly ever work out the mystery so I was quite pleased with myself! This isn’t a bad book, I just didn’t find it as good as novels by someone like Rachel Hore.